Ginseng is a plant which has large fleshy roots and can be found growing in North America and cooler regions of Asia. The main three that you have probably heard of are Asian ginseng(Panax ginseng), American ginseng(Panax quinquefolius), and Siberian ginseng(Eleutherococcus chinensis). Siberian Ginseng doesn't really belong in this group due its different genus and does not contain the same ingredients as the other two. The roots of Chinese and American ginseng contain several saponins named ginsenosides. These ginsenosides are believed to be the reason behind the health benefits and the plants adaptogenic properties. Ginseng in general is a highly valued plant that has been used for centuries in China, Japan, and Korea for the treatment of psychiatric and neurological disorders. In traditional Chinese medicine, ginseng is used to improve stamina and combat fatigue and stress. The saponins found in ginseng have shown promise in combating heart disease and circulatory problems. There is also a wide body of evidence that suggests ginseng helps control blood sugar by regulating the intake or absorption of glucose, ginseng is able to protect the body from sudden spikes and drops in blood sugar. I have also read many other studies that claim ginseng can help with premature aging, weight loss, and even sexual performance. I personally have not found much truth in that bit but I have found the root to improve cognitive performance and general mood. The reason that I recommend and personally use American ginseng is due to the fact that it has all the health benefits of the others but has a much more mild effect. Chinese ginseng is known for being more stimulating and heats up the body. American ginseng is less heating and stimulating and Siberian ginseng is somewhere in the middle. I have found that I can usually get a better quality supplement when using American ginseng due to most of it being grown in Canada and the United States makes for better quality control. Although I have used them all with positive effects, the American ginseng seems to be just right. I don't get the heating effect or become overstimulated at all. I use it in combination with a few other adaptogens and a low dose of caffeine and L-Theanine so I don't want any jitteriness that comes with over stimulation. So for my personal morning routine, American ginseng is the one that works best. 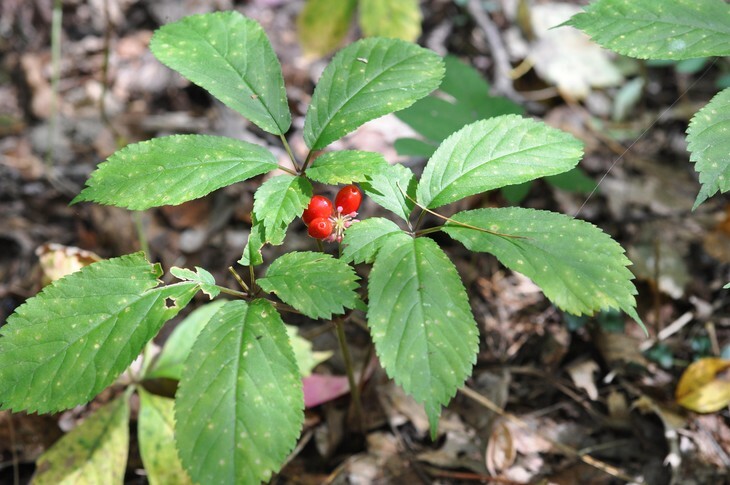 Although I covered some of the benefits of using American ginseng above, I want to cover why I personally think this plant is worth considering for your health and wellness. American ginseng like all the other herbs and supplements I've written about are generally very safe. That being said, if you abuse any of them and take high doses you can run across some problems. Due to ginsengs stimulating effects you should not use this plant late in the day. Some possible side effects are listed below. Although some of the side effects above sound pretty nasty I have never personally experienced any of them while using American ginseng. When I use it, I consume it first thing in the morning and never use it in the afternoon or evening. I feel a nice calm energy and feel sharp cognitively. I have played with many different doses from 50mg to well over a 1,000mg. The higher doses definitely heat me up and is not ideal for what I want from ginseng. I personally use 100mg of American ginseng a day in the morning before a light sweat. I don't believe using high doses for a prolonged time will give you any more benefit. Studies I have read agree that for prolonged use of a quality supplement, 100mg will give you the positive effects without the side effects.